MyFirmsApp, global number one developer of custom Apps for Accountants and Bookkeepers, announced today that it is making it easier for accountants, bookkeepers and their clients to access an up-to-the-minute lowdown on the Budget directly from its downloadable free App. 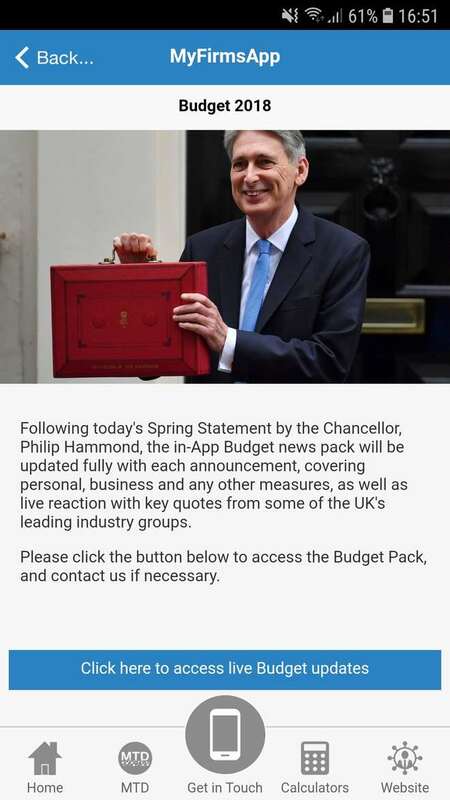 The MyFirmsApp OneApp platform includes a dedicated Budget Update which means it will be possible to review all the changes as they are announced by Chancellor, Philip Hammond, on Monday, 29th October 2018. This is provided to Accountants and Bookkeepers as part of their App platform it is possible to see how this works by downloading the free demo App from the Apple store or from the Google Play store. It can be easily found by entering MyFirmsApp UK in the search box. The MyFirmsApp team is committed to updating over 1200 Apps which means that a quarter of a million businesses will be able to hear details of the Autumn Budget directly from their accountants in real-time. With the support of the North East firm of Chartered Accountants, Tait Walker, updates to the calculators included in the App are quickly brought bang up-to-date and these changes are shown on all client Apps within hours of the announcements. The speed with which this is now achievable demonstrates how new advances in App-driven technology are changing the way it is possible to interact with clients. Before the development of Apps, printed cards would need to be produced detailing the changes announced in the Budget but now, changes can be communicated with push notifications and reach the selected recipient in seconds. In addition to making changes to the Apps, MyFirmsApp is helping accountants with their pre-budget marketing activities by providing a series of pre-written push notification messages. 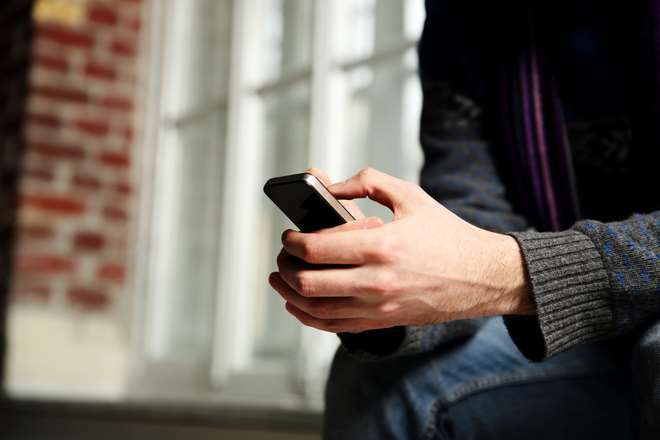 This is intended to help streamline marketing processes within busy accounting practices and with Smartphones lying at the heart of the client experience, being able to connect in this way will strengthen the relationship.